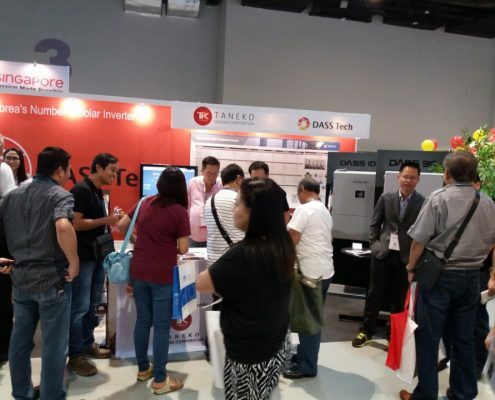 On May 2018 in Philippines, DASS Tech is participating on Solar Show 2018 taken placed at SMX Convention Center in Pasay City, Manila. We participate on this show with our exclusive agent, TANEKO Trading Corporation. There was much progress in Philippines's solar market. About 1200 visitors visited our booth and we discussed present & future business together, show was very successful.